THIS film’s eccentric title is explained in the opening scene, in which tipsy Guernsey residents are forced to invent a book club to explain their gathering to occupying Nazis during World War II. Post-war, the small society is still going strong — and actually reading books. 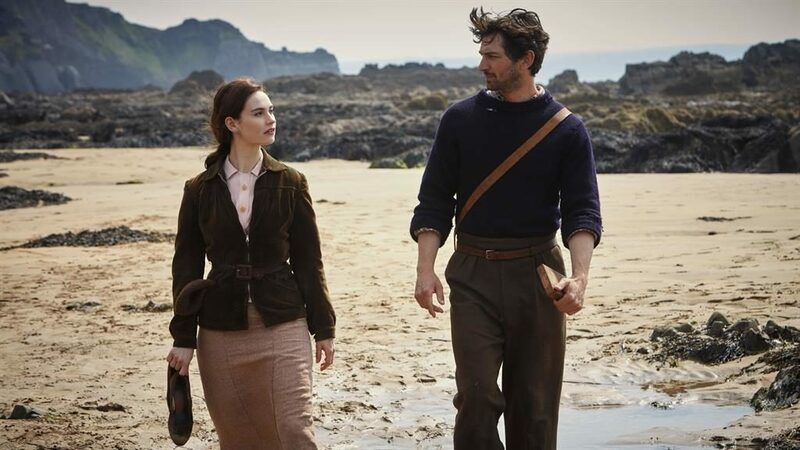 After farmer Dawsey (Game Of Thrones’s Michiel Huisman) strikes up a correspondence with an author, Juliet (Lily James, charming), she decides to pay a visit from London. But Juliet isn’t expecting to uncover a mystery — and nor is she expecting her pen pal to be quite so young and handsome. Based on the novel by Annie Barrows and Mary Ann Shaffer, this has all the ingredients of a mainstream heart-warmer and on that level it doesn’t disappoint. It’s the old town-versus-country dilemma for our heroine, who also has the complication of a charismatic American boyfriend (Glen Powell) nobody on Guernsey knows about. There’s gentle humour brought by the quirky country folk, which errs on the broad side but is elevated by classy performances from Tom Courtenay and Katherine Parkinson (The IT Crowd), unfairly cast as the local plain Jane — although she does get the best lines. Dutch actor Huisman is dashing, although his accent isn’t explained. At over two hours, this does feel too long and cluttered with subplots, one of which involves Elizabeth (Jessica Brown Findlay), book club member and close friend of Amelia, played by her Downton co-star Penelope Wilton. With its many characters, it could have made a great TV series — and we haven’t even got to Juliet’s gay publisher (Matthew Goode), who could hold a spin-off in his own right. IMAGINE waking up every day in the body of a different person. It’s still you but you have to figure out whose body you’re in and try not to disrupt their life too much. It’s an idea that recalls everything from 1990s TV show Quantum Leap to body-swap comedy films like Big — but this tween movie, based on the bestselling YA novel by David Levithan, gives it a contemporary spin. ‘A’ is a soul who wakes up in the body of boys, girls or those who identify as in between, inhabiting different races and disabilities (although not so often the latter). All this is, understandably, a bit of a head-spin for Rhiannon (Angourie Rice), the teen who unknowingly falls for ‘A’ while it’s in the body of her boyfriend. After discovering the reason for her boyfriend’s miraculous transformation into a sensitive type, she hooks up with ‘A’ in all manner of guises but, as you can probably imagine, it’s a continual challenge. The engaging premise overcomes most of its rough edges and Rice is charming. Sure, there are plenty of moral and conceptual ideas that remain unexplored, and having set up the premise, the film doesn’t quite know how to end. But none of that desperately matters if you’re a young viewer with a taste for paranormal romance. HELEN MIRREN and Donald Sutherland show their grown-up kids the finger and hit the road in an RV but the results aren’t exactly laugh-a-minute. Perhaps it’s because this adaptation can’t quite decide what it wants to be: a crazy-old-timer comedy or a moving drama about end-of-life choices. It’s far better when going for the latter. Mirren and Sutherland share touching scenes as she deals with his Alzheimer’s while recklessly allowing him to drive their beloved Leisure Seeker from one park to another. When gunning for laughs, meanwhile, it’s often laboured, from stilted roadside hold-ups to the uncomfortable humour at the expense of his condition. Despite unconvincing dialogue, Sutherland is great as the professor obsessed with Ernest Hemingway but Mirren feels miscast as his chatty southern wife. When the two share quiet, tender moments they’re adorable but those are few and far between. Maxine Peake is a knockout in a comedy-drama about a woman making it in the man’s world of stand-up comedy in 1970s Yorkshire. With Paddy Considine. Juliette Binoche stars as a divorced artist in this terribly French (ie sophisticated) romantic comedy-drama about a mature Parisian looking for love. 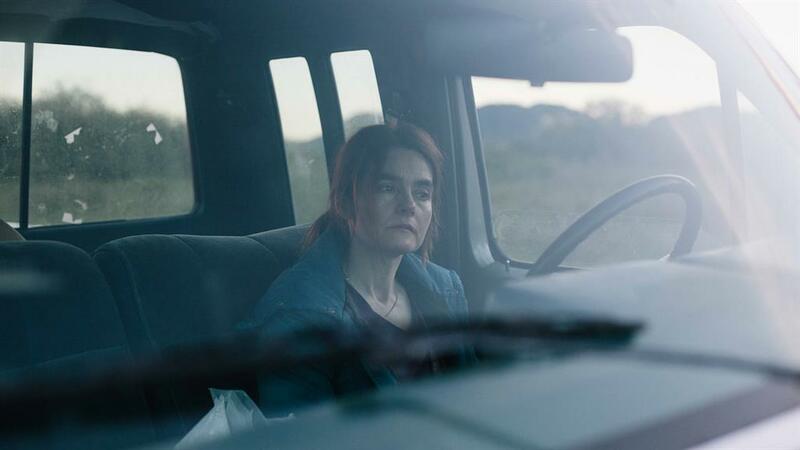 Lauded first-time feature from Kathleen Hepburn in which Shirley Henderson plays a widow suffering from Parkinson’s. A beast is lurking in the forest in a dark fairy tale starring Bel Powley as a lonely girl locked in an attic then rescued by Liv Tyler’s well-meaning copper. A poetic drama thriller from Iranian director Majid Majidi (Children Of Heaven), this brother-sister story was a hit on the festival circuit.